Nothing feels quite like finding the perfect gift for a loved one, especially when it comes to skincare! But some people are very particular about what goes on their skin. Rightfully so, since there are a lot of harmful products out there. If you're shopping for an environmentally conscious gal, read on for some "green" gift tips! Sustainable, fair trade, organic, green, cruelty-free, etc...These may be new buzzwords to some, but for some of our beauty brands, this has been their philosophy from the beginning! In this day and age, people are beginning to realize that what goes on their skin is just as important as what they eat. In addition to this knowledge, people are also realizing that our resources are precious, and environmental sustainability is a huge issue. This leads us to eating better, learning about ingredients, making choices based on ethical practices, and taking better care of ourselves and the world we live in. Here at beautystoredepot, we pride ourselves on our knowledgeable staff members, our vendor relationships, and the resources that we share with you! We are constantly updating our website to keep you informed. When it comes to shopping for that eco-friendly friend of yours, we've got you covered! Check out our Natural Beauty Products section, located in the top right corner, under the search bar of our website! There you will find a list of our natural beauty, makeup, skincare, body, and hair brands. Sircuit Cosmeceuticals is your go-to for natural skincare! With naturally pH balanced formulas designed to work with the body, you can trust your skin health to Sircuit. With the Sircuit 7 Essentials Sample Collection, you'll give the gift of a natural skincare routine, enclosed in an elegant white box. Once they figure out the Sircuit products they love, you'll be ready for the next round of gifts! Dermalogica is all about respecting and preserving nature, while providing you with superior skincare. Not only do they refrain from animal testing and animal derived ingredients, but they have been recognized by the RSPO for sourcing palm oil in a manner that does not negatively impact local wildlife. 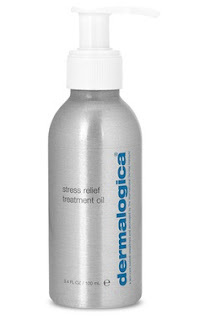 Give the gift of relaxation with Dermalogica Stress Relief Treatment Oil. This soothing, multi-functional blend combines advanced organic silicones for skin smoothing with calming essential oils of Sandalwood, Lavender, Orange and Clary Sage. Naturally-purifying extracts of Tea Tree, Lemon, and Ylang-Ylang help to counteract the negative mental effects of stress for the ultimate in relaxation. Delight your loved ones with cruelty free haircare by Enjoy! They feature a variety of sulfate-free, color safe options for all hair types and concerns. Plus, the whole line smells delightful! The Enjoy Luxury Mask is made up of a unique blend of healing ingredients, including shea butter and coconut oil, to tame unruly, damaged tresses. Support green business practices with Jan Marini, a brand that also does not conduct testing on animals. The Jan Marini Sugar Plum Marini Holiday Exfoliator is uniquely designed with microscopic particles that gently exfoliate while releasing skin protectants. Proteolytic enzymes and glycolic acid further polish the skin for superior exfoliation without the need for harsh abrasives. The sugar plum scent is only available once a year and is sure to dazzle your darlings! Innovative Skincare is dedicated to developing clinically-validated skincare products that improve the physical and emotional well-being of people globally. In addition to employing the highest ethical and business standards, they also pioneer and participate in philanthropic programs for the benefit of cancer patients suffering from the negative side effects of radiation and chemotherapy treatments. Their most popular product, the Active serum, is a powerful, paraben-free, botanical serum that reduces the appearance of wrinkles, fine lines, hyperpigmentation and acne. It's excellent for all skin types and leaves the skin moist and smooth. Your skin’s pH level should be between 4 and 5.5. It's important to keep your pH balanced in order to maintain skin health and improve ingredient absorption. 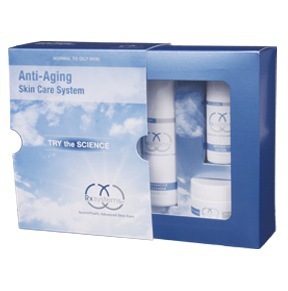 Balance your skin's natural pH and achieve a radiant, ageless complexion with Rx Systems Anti Aging Skin Care System, which features Glypoic Complex. Glypoic Complex is a proprietary blend of naturally derived acids that assist in epidermal penetration and cell metabolism. Regular use of these products will lead to improved skin texture, decrease pore size, increased elasticity, and decreased appearance of fine lines and wrinkles. GloMinerals is a firm believer that gorgeous makeup doesn't have to compromise your complexion! Their talc-free, antioxidant rich cosmetics are formulated using pharmaceutical-grade ingredients. This cruelty-free makeup not only looks good, but also improves your skin health! Wow your loved one with the GloMinerals Keepsake Collection Train Case, which features some of their fabulously pigmented products in a beautiful quilted train case. 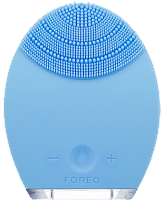 If you still aren't sure what they'll love, you can't go wrong with a Foreo Luna! This device utilizes Transdermal Sonic Pulsations to bring you skin that appears visibly healthier and more radiant, and continued use will leave your skin looking enviably younger and smoother. 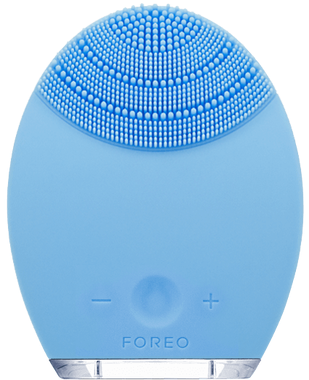 An anti-aging and cleansing device in one, what more could you ask for?! Mr & Mrs Claus Holiday Giveaway! What Do I Get him?